This long length rain coat offers excellent value and superb protection from the elements. It has an adjustable pack away hood, that can be conveniently folded away into the collar. 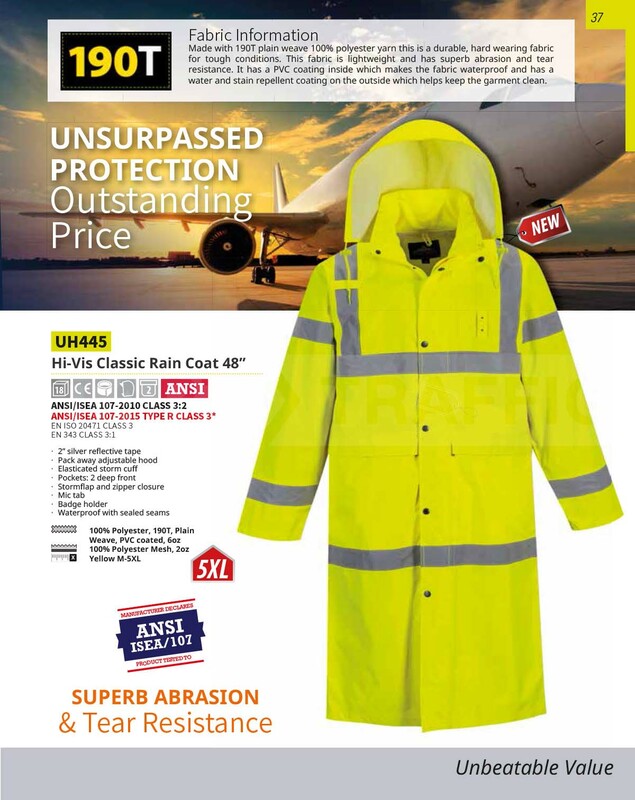 The high visibility tape and high contrast yellow makes this jacket ideal for airport use, and other jobs that have to be carried out whatever the weather. 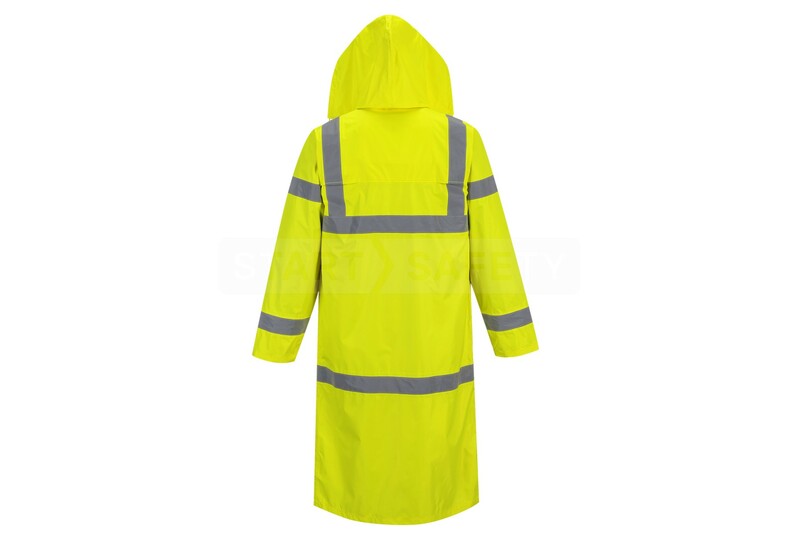 A zipper front seam with snap-shut storm flap prevents water penetration of the zip. The jacket includes a mic tab and badge holder for easy passing of security checkpoints. 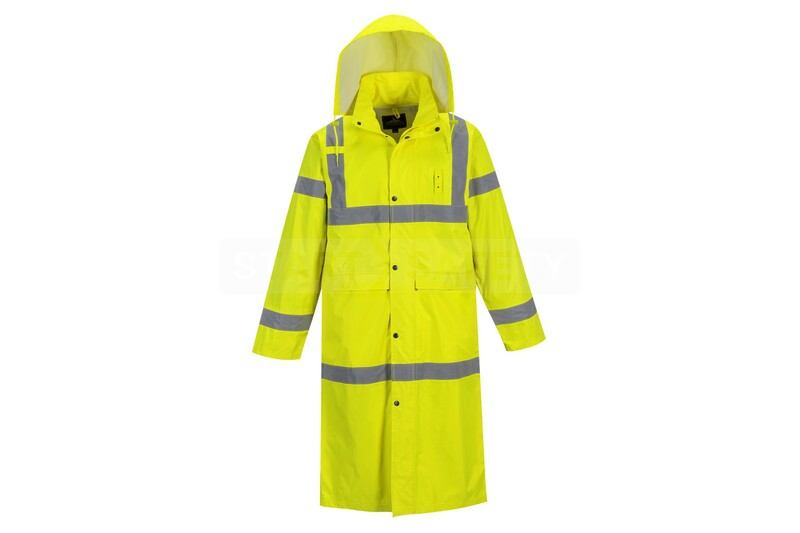 Do you have questions about this Long Rain Coat? Give us a call and speak to one of our trained sales team, they will be able to assist you in finding the right product for your needs. They would also be happy to discuss any bulk quantities that you may require.